Your report cards have been printed and will be arriving at your home next week! Thank you again for trusting us with your child’s education and growth. We look forward to seeing everyone back on Tuesday, August 16th! As a reminder, this summer is a break for our teachers and counselors too – they will not be answering emails until we return in August, so if you have any urgent concerns or questions, please email me directly at swallis@davincischools.org. 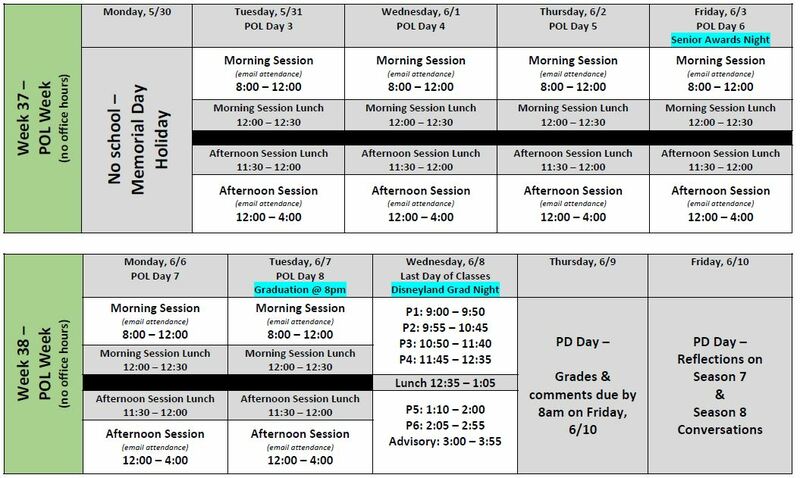 This is just a friendly reminder that summer school starts on Monday, June 13th through Friday, July 22nd, with no school on Friday, July 1st and Monday, July 4th. If your child has signed up for Geometry, class starts at 8:00 and ends at 11:30 am. If your child has signed up for Algebra 1, class starts at 12:00 and ends at 3:30 pm. Students will not earn credit for the course if they exceed one absence per semester. The first semester is from Monday June 13th – Thursday, June 30th, and the second semester is from Tuesday, July 5th – Friday, July 22nd. Happy Wednesday & last day of the school year! Parents, this morning is your last chance to sign in for any school events that you attended this year – the link is http://tinyurl.com/DVSParentParticipation. Thank you for supporting your students by attending their school events this year! Teachers will be working on the grades and comments for report cards, which will be mailed out at the end of the week. The last week of the 2015-2016 school year is here! The graduation ceremony, held at Marsee Auditorium at El Camino College, will be at 8:00pm on Tuesday. The final day of the school year is on Wednesday, and report cards will be mailed out on Friday, 6/9. Please allow 2-3 days for them to arrive. If you attended your child’s Presentation of Learning, please remember to sign in at tinyurl.com/DVSParentParticipation. Thank you for supporting your students in their work throughout the year! High school students can get started on their college education at El Camino College this summer. Free summer classes are available to eligible juniors and seniors who want to earn college credits while still in high school. Students must be California residents to be eligible for a fee waiver. Taking college classes while still in high school is a great way to get a head start on a college degree, while saving money on enrollment fees. Also, taking college courses can help prepare high school students for college curriculum and offer a sense of what to expect in higher education. El Camino College’s eight-week summer session begins June 20 and the second six-week summer session begins July 12. A variety of classes are available in many subject areas. To participate, high school students must apply online at www.elcamino.edu and submit a Concurrent Enrollment Application. DVS is once again partnering with PJ Test Prep (www.pjtestprep.com) to provide ACT test prep over summer on a limited, first-come-first-serve basis. Priority will be given to 11th grade students at DVS. The cost of the course will be $50 and will include 4 Saturday classes, a scored take-home test, and a final test review session. The course will consist of 4 classes from 10:00-12:30 on the 4 Saturdays in August: 8/6, 8/13, 8/20, and 8/27. Students will receive a take-home practice ACT which will be scored and returned in a final review session on Thursday 9/8 at an evening review session. The real ACT is on Saturday 9/10. Note: The deadline to register for the 9/10 ACT Exam is August 7, but don’t wait until then to sign up! DVS is a testing center but if it fills up, you’ll have to take the test somewhere else. Presentations of Learning are in full swing, and we are almost at the end of the year! 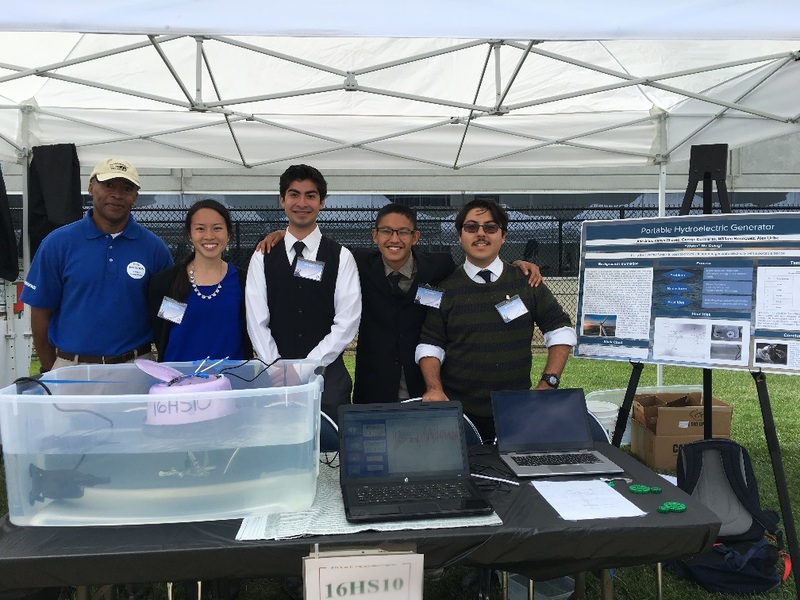 Here’s the schedule for the last 8 days: DVS week 37 schedule Congratulations to DVS students George Contreras, William Henriquez, and Alexander Uribe who placed third in the Herndon Aerospace Competition last week! Led by Ms. Wai, the group impressed the judges at Aerospace Corporation with their research on a portable hydroelectric generator. Well done!